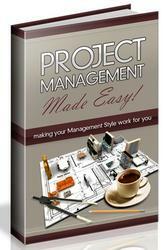 Portfolio management is one of several governance methods used within organizations. Governance is the act of creating and using a framework to align, organize, and execute activities in a collectively coherent and intelligible manner in order to meet goals. Organizational governance establishes the limits of power, rules of conduct, and protocols of work that organizations can use effectively to advance strategic goals and objectives and to realize anticipated benefits. Organizational governance involves controls—such as phase gates, meetings, metrics to monitor progress, etc.—and includes the domains of portfolio, program, and project management. 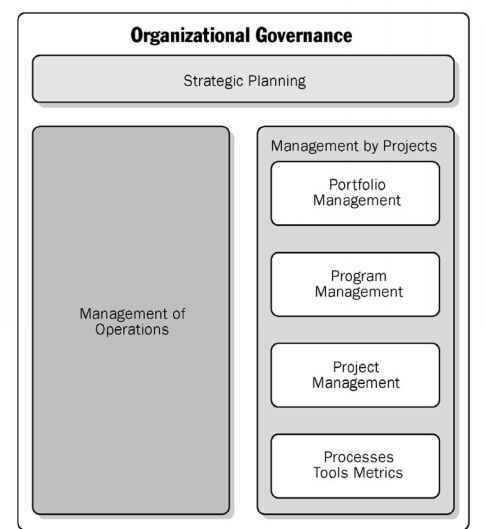 The portfolio management domain of governance is the subject of this standard, and its processes are explained in Chapter 3, Portfolio Management Processes. There are many corresponding roles and responsibilities among governance entities concerning portfolio management. 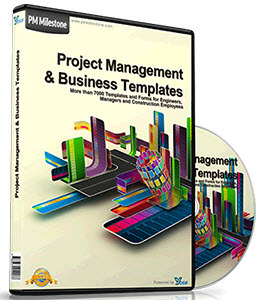 The areas of executive management, portfolio management, program management, project management, and operations management all play critical, interrelated roles. Such relationships are shown in Figure 1-4. In smaller organizations, the roles of the executive management and portfolio management may be within the same area of responsibilities. 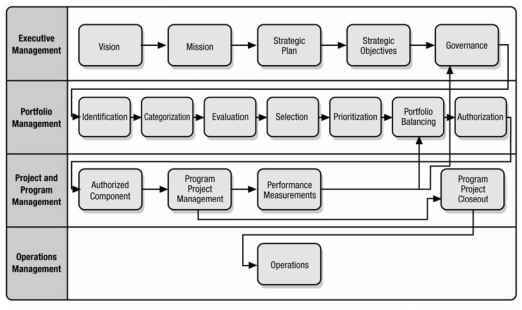 Figure 1-4 does not show all activities of the four levels, only the relationships to the different organizational activities.